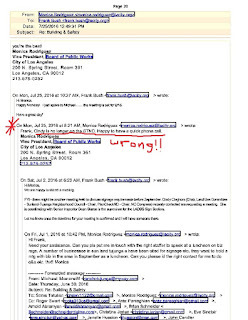 On this MLK Day after last Thursday's Sunland Tujunga Neighborhood Council's Kangaroo Court-like assault on the Communal Character of longtime STNC Activist Cindy Cleghorn, we question CD-7 Councilperson Monica Rodriguez's association with those spearheading the repugnant personal attacks on Cleghorn ........, and actionable falsehoods, targeting those keyboarding the documented truth. 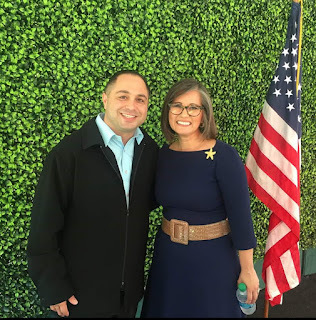 CD-7 Councilperson Monica Rodriguez with Convicted Criminal (and Campaign Supporter) Arnie Abramyan. 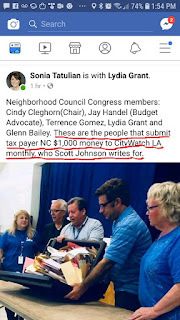 ** Blogger's Notes: On this Martin Luther King Day after last Thursday's Sunland Tujunga Neighborhood Council's disgraceful, legally-questionable and Kangaroo Court-like proceedings, in attempting to remove longtime NC Activist Cindy Cleghorn from it Land Use Committee, we want to share the following thoughts with CD-7 City Councilperson Monica Rodriguez. Emulating the spirit of Dr. King, we aspire to root our musings, on character-based reporting of the facts, absent of biases based upon gender, race or political affiliations. 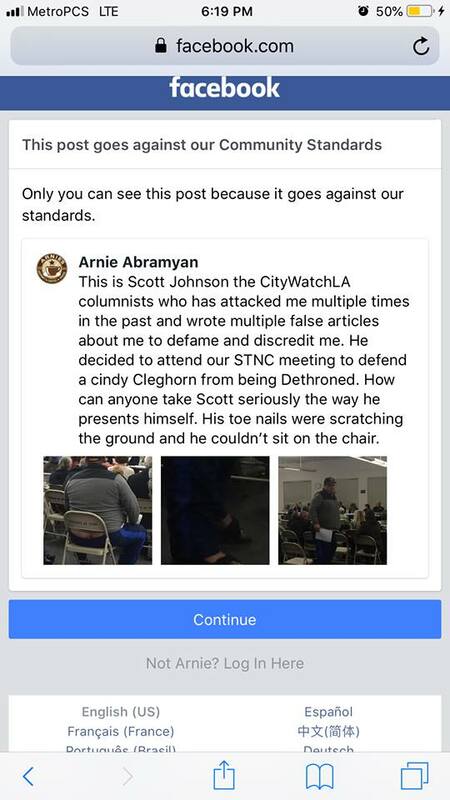 Those traits were exampled by the great majority, who wrote and spoke against the STNC-proposed action targeting Cleghorn, giving witness to her selfless (and countless) Acts of Character, in the interest of protecting the communal environment of Sunland Tujunga ....., and beyond. 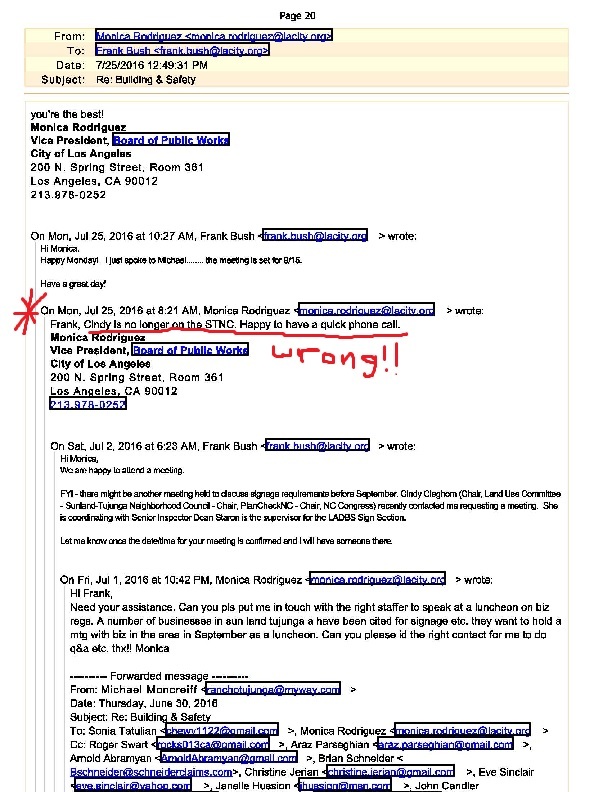 We like to ponder that in an ideal CD-7 ethical environment, its Officeholder would be lauding those standing by Cleghorn and holding accountable those responsible for acting subjectively ........, but Councilperson Rodriguez's continuing silence, is evidence (along with the documentation presented below), of her own character failings ........., with adverse ramifications. 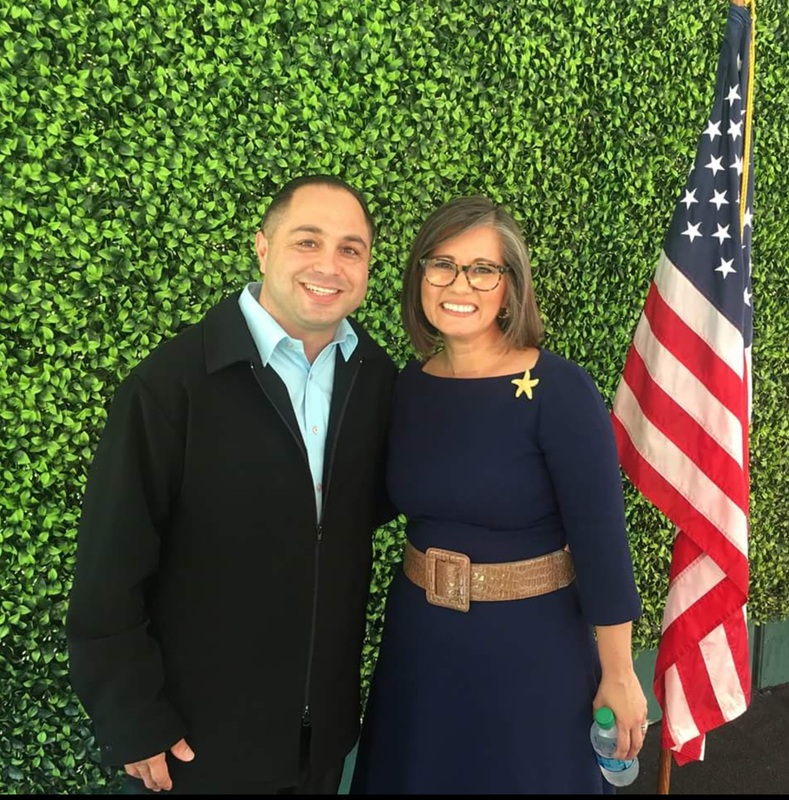 Since her election, CD-7 Councilperson Rodriguez's campaign contributors have ramped up the bully-like attacks on perceived critics of her political agenda. In the aftermath of the failed attempt to remove Cleghorn, they have reaped the ire of a great majority, repulse by their reviled ......., and ACTIONABLE conduct. For the record, screen shots from Sunland Tuunga-based Facebook Pages, disclose Councilperson Rodriguez's Contributors Arnie "Convicted Criminal" Abramyan and Sonia Tutulian, making False/Actionable Statements regarding financial compensation by prominent NC Advocates to this ......., Mayor Sam (not CityWatch LA) Writer (a formal statement will be forthcoming). Arnie's contributions to, now Councilperson Rodriguez. 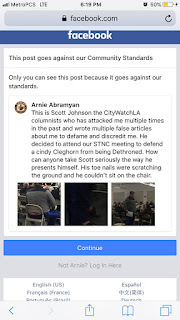 A Convicted Criminal's repugnant attacks on a blogger. 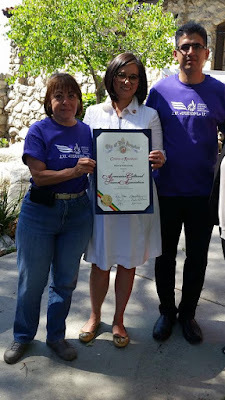 Sonia Tatulian (left) with CD-7 Councilperson Monica Rodriguez. 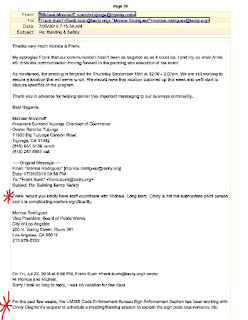 Sonia Tatulian's contributions to, now Councilperson Rodriguez. 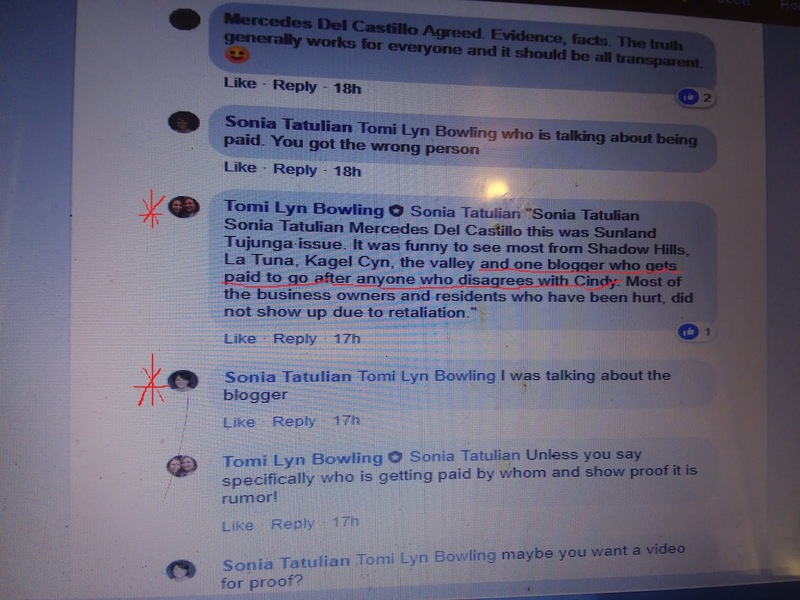 Facebook thread that denotes Sonia Tatulian's allegation regarding a blogger's paid to attack Cindy Cleghorn's critics scheme. 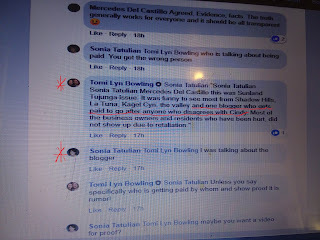 Sonia Tatulian's allegation of what would be a misuse of public funds. 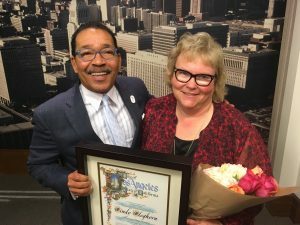 As Los Angeles City Council President Herb Wesson was honoring Cindy Cleghorn, then CD-7 City Council Candidate Monica Rodriguez was using her Public Works Position, to falsely counter the work of Cleghorn, in response to her supporters Sonia T., Arnie A., Roger Swart, and others. 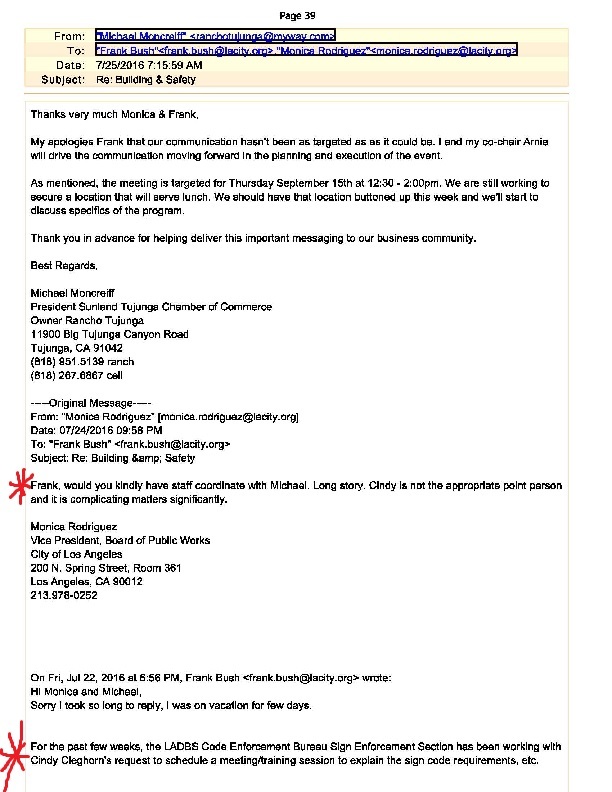 Could one discern from the emails above that, now Councilperson Rodriguez may have played a supporting role in the attempted removal of Cindy Cleghorn from the STNC Land Use Committee? To be continue.